Power tools can be intimidating if you’ve never used them…BUT they don’t have to be! The number one rule when using power tools, is to always practice safety. Even those of us who use tools often need to be reminded of this rule! 😉 Sara (sincerely, sara d.) and I put together a quick video to share some saw safety tips you need to think about before getting started. 1. Always wear safety googles and ear plugs. 2. Don’t wear loose clothing or jewelry that could get caught in the blade. 3. Pull or pin your hair back so it’s not hanging down as you cut. 4. When moving the saw, make sure it’s unplugged and in the locked position. 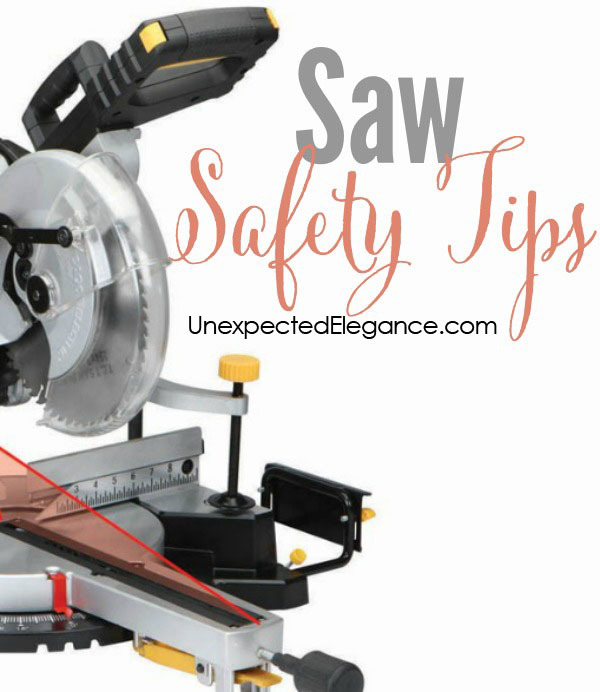 When working with a circular saw or power tools safety is first. You did a good effort to make this video. Thanks for this.